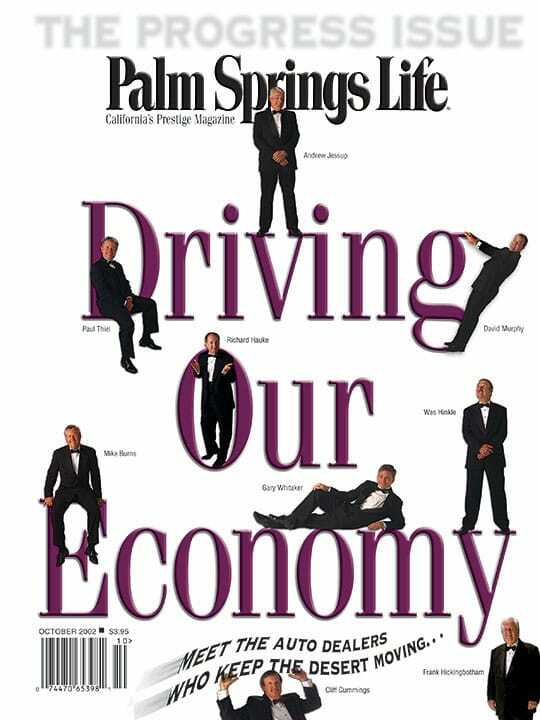 ON THE COVER — Talk about staying power. 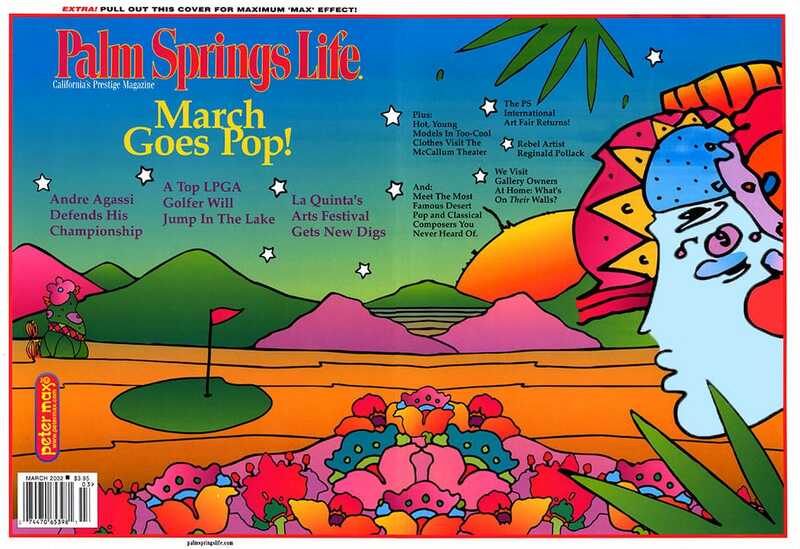 The pop art of Peter Max is just as highly treasured today as it was, gulp, 40 years ago. And he’ll be here in the desert March 22-24 at the Denise Robergé Gallery on El Paseo, signing his works. 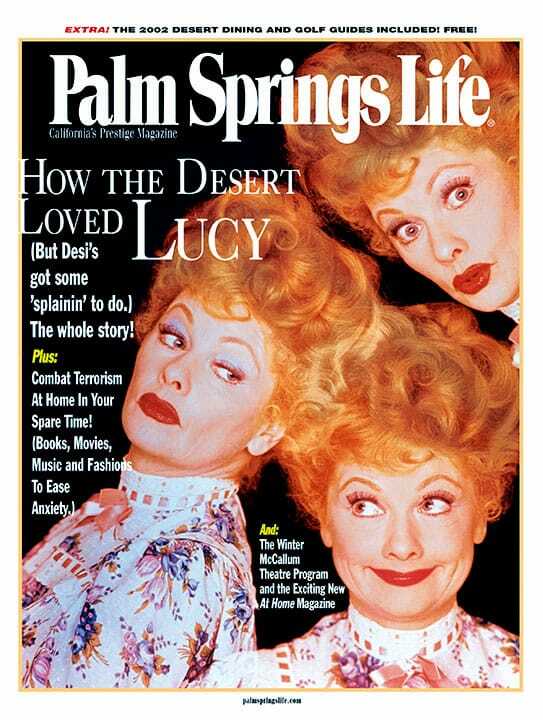 This cover was done expressly for the readers of Palm Springs Life and will also be available as a poster. The world of Reginald Pollack was filled with new ideas, startling artistic visions and, at the end of his life, an impatience with stupidity. Includes sidebar by artist Robert Fischer. New Age composer Gilman worked with McCartney and Papa John Phillips. Now he’s composed music for whales, a work that will open the 20th Annual La Quinta Arts Festival. By Anthony Grant. Photography from the collection of Clarissa Ryterband. Right under our very noses, classical composer Ryterband created some historic symphonic works. His revival is at hand. By Gloria Greer. Photography from the collection of Earle Hagen. He wrote “Harlem Nocturne” and another song you can’t stop whistling. Meet this Emmy-winning composer. They made a new hit of “Smooth Criminal,” but fans know this is more than just a cover band. Meet the best rock formation to come out of Riverside, California since… ever! When The Posers hit town to play The McCallum Theatre, they get to introduce some new material and tear at the social fabric of the desert. Fashion for the young and the vestless. Jean Penn visits four art gallery owners to see what’s on their walls at home. Also: Decorating with patience.